Hello I am a student at kraxberger middle school and i am doing my science project on gmos and how they are affecting the world. I was hoping you could give me a couple of details on gmos. 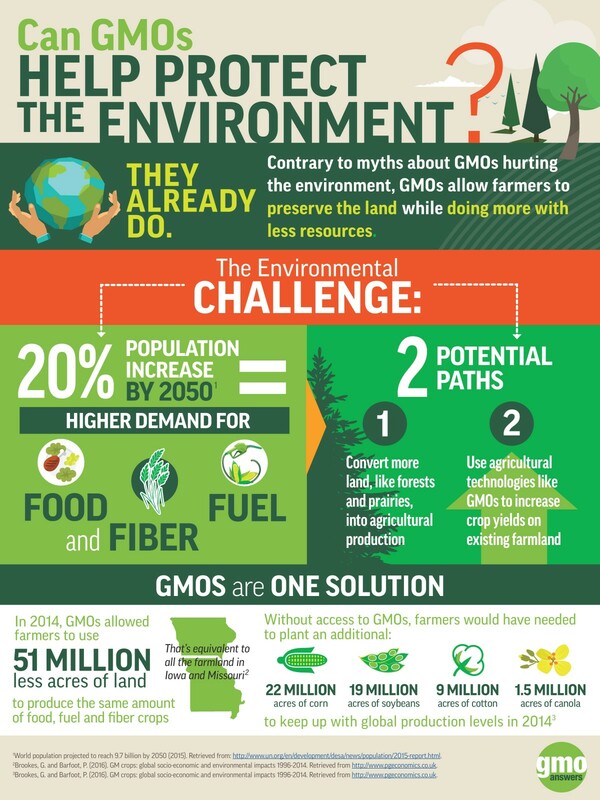 Every day, farmers around the world use GMOs to help combat threats to food and the environment. Whether helping to protect crop yields against plant diseases, weeds, pests, or to reduce water use, GMOs are one of modern agriculture’s many innovations that allow farmers to grow more food with fewer resources. The benefits of GMOs don’t stop at the farm. GMO crops can help to reduce food waste and combat under-nourishment around the world. In particular, GMOs play an important role in addressing food security challenges in developing nations. For example, rice is an important staple food source for more than half of the world’s population and accounts for between 30-72% of the energy intake across Asia alone. GMO rice, or ‘Golden Rice,’ which gets its name from its yellow color, is more nutritious than rice that isn’t genetically modified since it’s packed with beta-carotene, a rich source of vitamin A. Vitamin A Deficiency is a known cause of death and blindness in the developing world – one which ‘Golden Rice’ can help address. Recently, the U.S. FDA approved Golden Rice – marking the third positive international assessment of this GMO crop and taking us one step closer to helping the people who need it most. For additional information on how GMOs are benefiting consumers, farmers and the environment, we encourage you to read this previous answer that details 6 main ways GMOs impact society.